Greeting card formats are one of the few things you can change that will make a big difference on how your greeting card designs turn out. It encompasses all sorts of concepts from orientations to styles and positions. 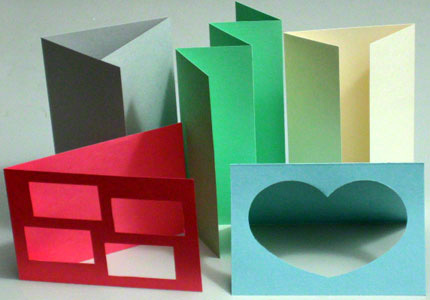 Card making formats include common formats like single leaf and standard fold, creative formats like double door, pamphlet fold, and accordion fold, as well as unique formats like hybrid folds. 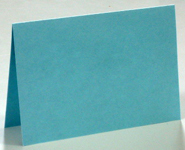 Consequently, these orientations and folds are the most common types of card making formats. When it comes to wedding invitations, the single leaf or postcard greeting card designs and formats are what you’ll run into the most just like in this wedding invitation. However, there’s no rule against using any other type of format for weddings. Neither is there a rule against using single leaf formats for other occasions. So, feel free to do so. This is the most common greeting card format. Simply fold a single leaf right in the center and you’ll end up with this format just like in this love greeting card. This practically seems like joining two standard fold pieces back to back. Thus, to create this, fold a single leaf a quarter of the way from the left and from the right just like in this Christmas symbols card. The name speaks for itself. It’s the type of format you get when you fold your card like a pamphlet. Therefore, to create this greeting card design, fold a single leaf a third of the way from the left and right or from the top and bottom just like in this birthday greeting card. This is also known as multi-fold. This means there’s no limit to the number of pages or folds you can create. Nevertheless, the most common one is the five page accordion just like in this 6th year anniversary card. The advantage of using this greeting card layout over ordinary accordion is that you can have the card show one thing when it’s closed and reveal a totally different thing when it’s open. Basically, it’s like turning it into a greeting card puzzle. You can cascade it to one side or cascade it evenly about the center. It’s a no-brainer that every reading-material out there like books, newspapers, magazines, and greeting cards open up in the left handed way. Hence, do something unique this time around. Make a card that opens in the opposite way. Just don’t forget to let the recipient know that it’s not a mistake. One way to do that is to incorporate it in the greeting card message. This unique greeting card layout comes from going beyond the gate fold but stopping before you get to the pamphlet fold. Thus, to create this greeting card format, fold a single leaf from the left and right more than a quarter of the way but less than a third of the way like in this thank you card. By the way, did you notice that the thank you card with the pamphlet-gate hybrid fold also uses the unique right handed opening? This is an accordion that comes from transforming a pamphlet fold into a gate fold. To make this, first you create the pamphlet fold by folding a single leaf a third of the way from the left and the right. Then, you fold the first and last leaves halfway to create the finished hybrid. This hybrid format requires a few cuts and slits to complete the effect. Therefore, before you start folding, cut a reverse-c-shape from where you want the accordion to start to where you want the single door to end. Then complete the rest of the fold. If the pages are too large or too many to create from one sheet, you can join a couple sheets together to create the full effects you desire. 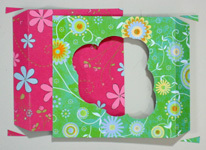 Simply create tabs on each sheet to glue behind the next sheet just like in this thank you card. Also, consider cutting off the top and bottom parts of the tabs beforehand. This way, you hide the tabs and, hence, it’s not immediately apparent that the various pages came from different sheets. As you can see, there’s no limit to how you can combine the various formats to improve your greeting card designs. Apart from this, you can create your own original formats. So, what else can you come up with? How will you change your next card making adventure? Feel free to share your creation with us and the rest of the world.